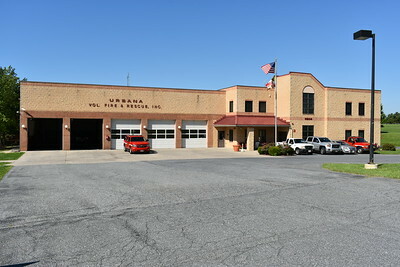 Urbana, Maryland - Frederick County Station 23. 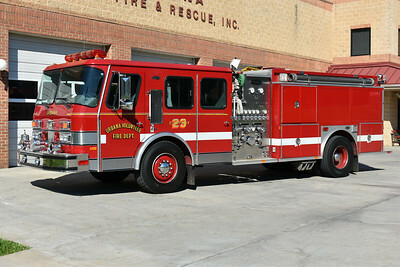 Engine 231 from Urbana, Maryland is a 2010 Spartan Gladiator/Rosenbauer with a 1500/750/20 and production number G3059. 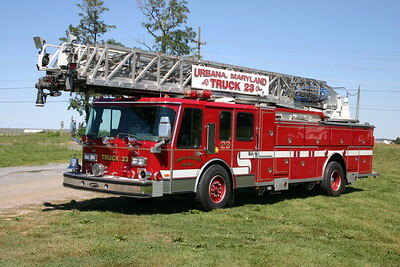 Urbana, Maryland in Frederick County - Engine 232 - a 1996 E-One Cyclone 1250/750 with s/n 16565. 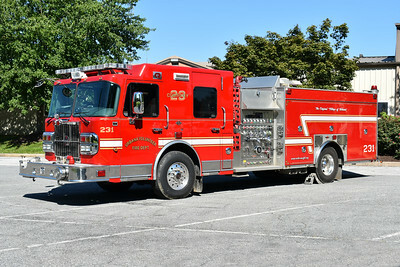 Ex- Engine 231. Engine-Tanker 23 from Urbana, Maryland in Frederick County is this 1992 E-One Cyclone with a 1250/1500 and serial number 10432. 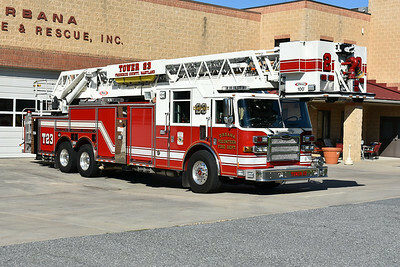 Urbana, Maryland in Frederick County - Tower 23. A 2008 Pierce Dash 100' with job number 20267. 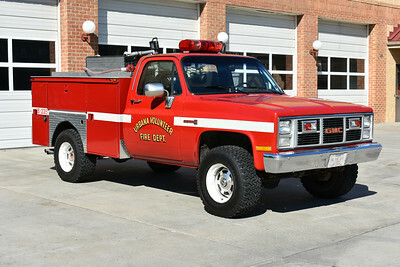 Brush 235 for Urbana, Maryland is a 1986 GMC Sierra 2500/MCB equipped with a 250/200. 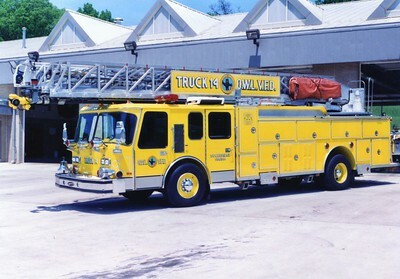 Brush 235, a 1987 GMC/fd, 250/250. Photographed with its former body. 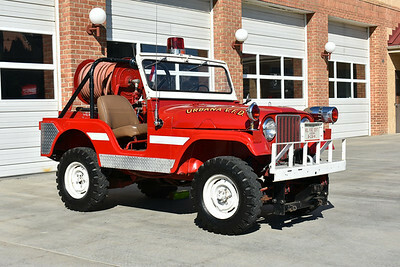 Originally delivered to the Laytonsville, Maryland VFD in Montgomery County, this nice 1967 Jeep CJ-5 has been owned for many years by Urbana, MD VFD in Frederick County. It is equipped with a 60/80. Brush 236 is more of an antique/parade/ceremonial unit for the department. Photographed in August of 2017. Brush 236, a 1967 Jeep CJ5, 80/80. Still owned and in service. ex - Laytonsville, Maryland. 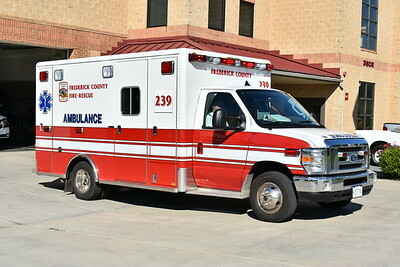 Ambulance 239 assigned to Urbana, Maryland caught leaving the station in August of 2017. A 2016 Ford E450/2017 Horton with an older 2006 Medtec box. 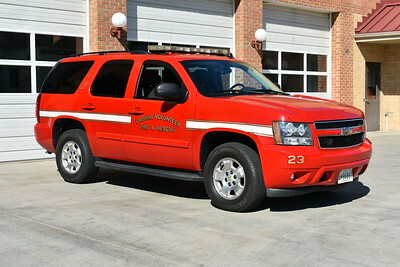 Chief 23 from Urbana, Maryland (Frederick County) is a 2008 Chevrolet Tahoe. 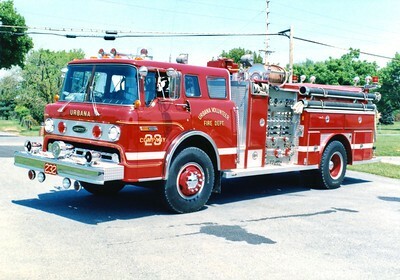 Engine 231 from Urbana was a 1986 Ford C/E-One, 1000/750. 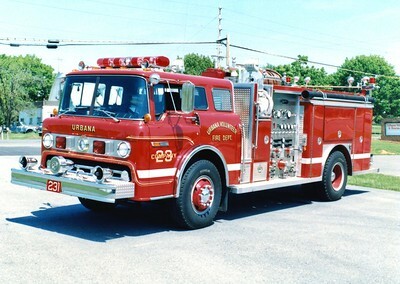 Engine 232 was a 1980 Ford C/E-One, 1000/750. Sold to Graceham, Maryland, in 1996. 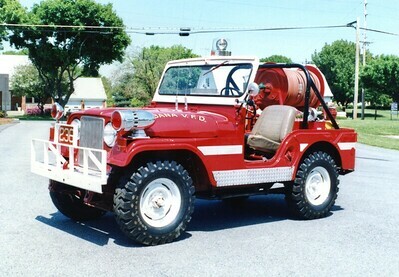 Former Engine 232 was a 1972 Ford F/Ward LaFrance, 750/500. 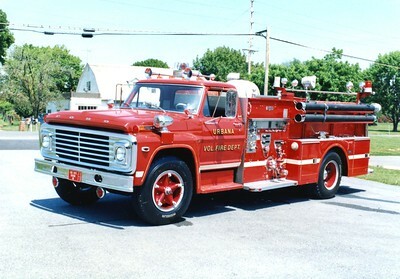 Urbana's first firetruck, received in 1976. ex - Honeywell Corporation, New Jersey. Sold to Penn Township, Pennsylvania (Cumberland County). 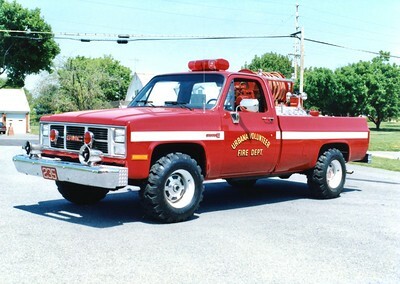 Former Truck 23 was this 1986 Emergency One Hurricane, 110'. 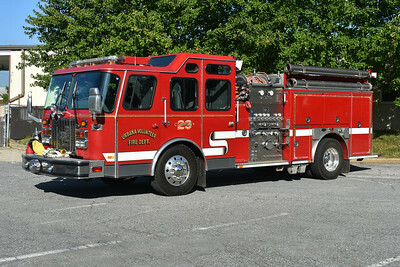 ex - Woodbridge, Virginia Truck 14 in Prince William County. Former Truck 14, a 1985 E-One Hurricane/1992 E-One, 110'. Sold to Urbana, Maryland. 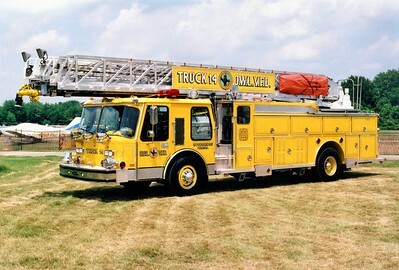 Former Truck 14 was this nice 1986 E-One Hurricane, 110'. Sold to Urbana, Maryland. 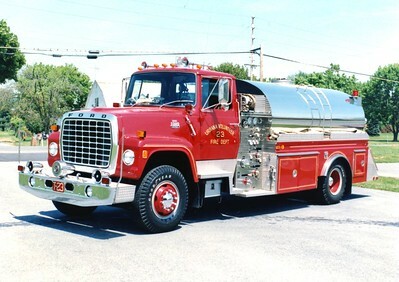 Tanker 23 was a 1984 Ford L/4-Guys, 750/1800.